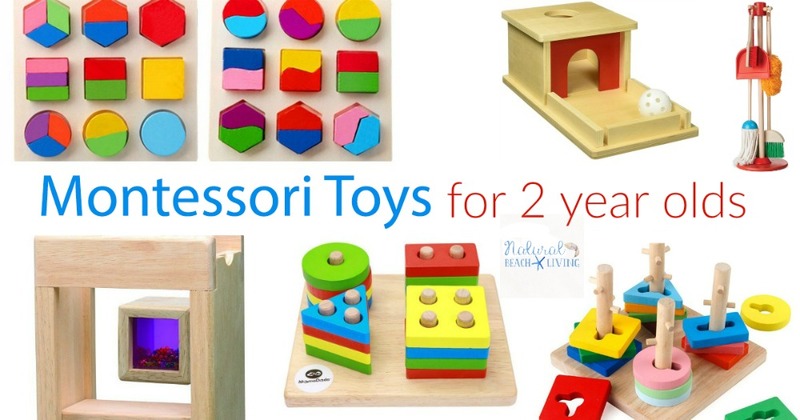 If you are looking for wonderful Natural Toys for 2 year olds, you can find them here. These awesome toddler toys take open ended play to the next level. Not only are they eco-friendly, these toys serve important functions for early childhood development. Plus, they are fun! 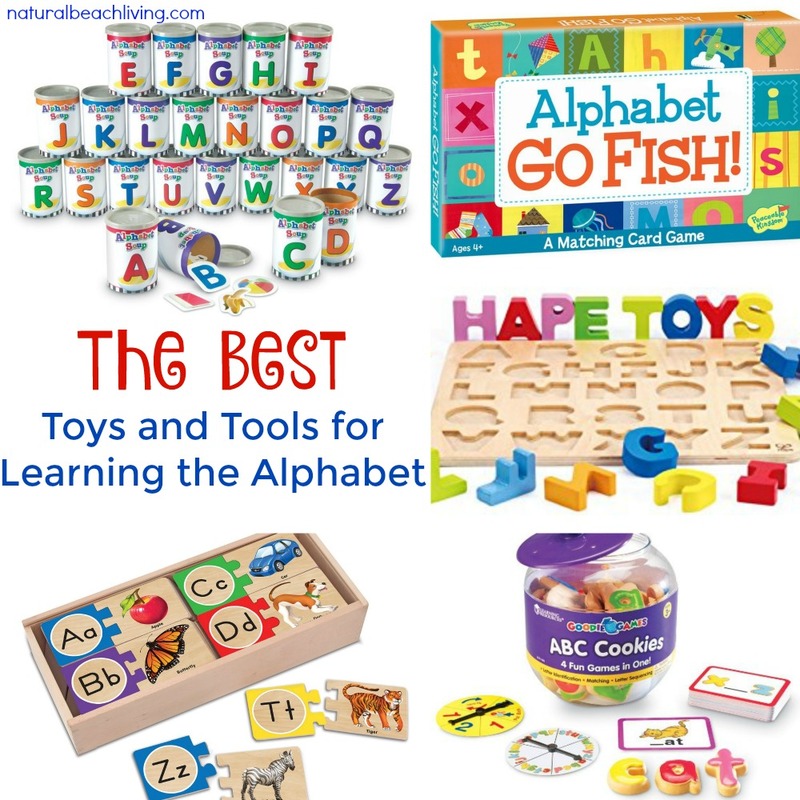 That’s why these are some of our favorite Natural Toys for toddlers. I am sure you will find a few things on this list your child will love too. 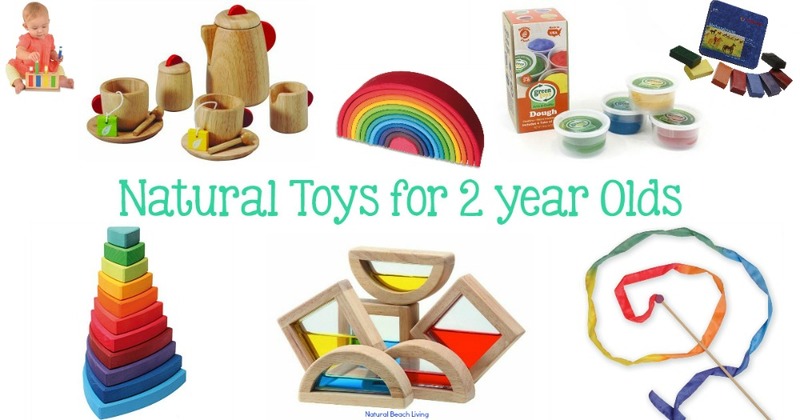 These Natural Toys for 2 Year Olds shared here are great tools for your child to have fun and work on essential skills for early childhood development. You’ll find rainbow blocks, kitchen sets, puzzles, art supplies and more. All of these toys are perfect for your child to enjoy open ended play, practice colors, sizes, shapes, work on important skills, and more. 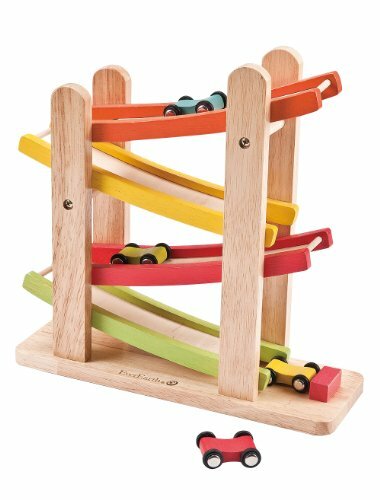 The Grimms Wooden Rainbow Stacker is fun for many years and a perfect open-ended toy for all ages. 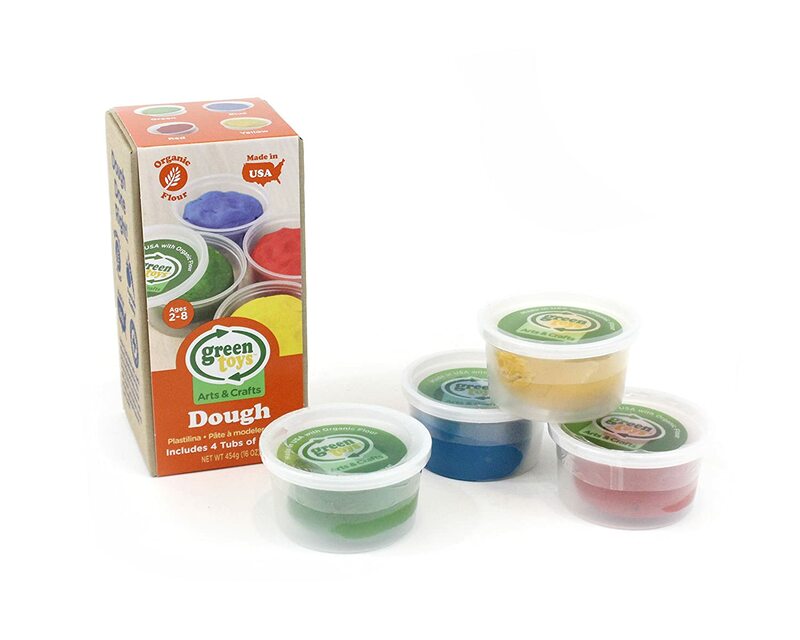 This all-natural, eco-friendly play dough will keep kids busy all afternoon and introduce your toddler to sensory play. 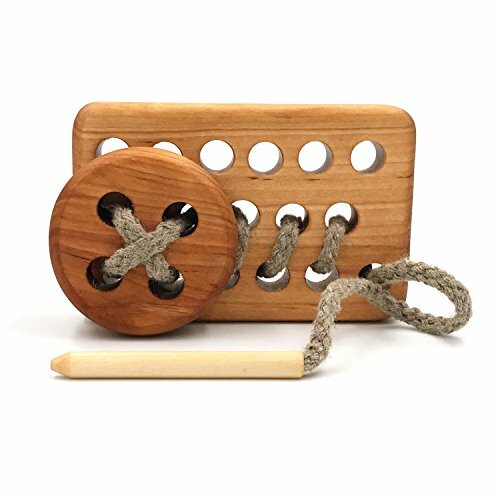 Another all natural, wooden toy for toddlers that will aid in their overall development. This snail puzzle is a simple and adorable addition to the toy box! This eco-friendly ball has different colors, textures, and sounds that make it up. 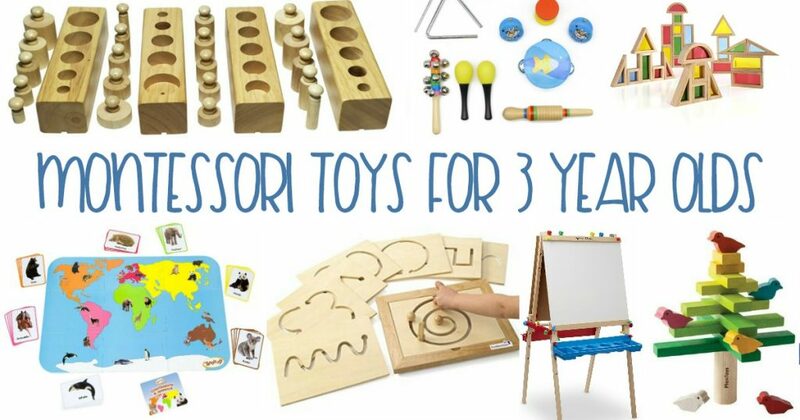 Your toddlers will love the different feelings of the toy and different ways to play with it! Your little ones will enjoy pushing or pulling their little animal friend around and it will help improve their coordination and walking skills. Watch your little ones create music with this natural, wooden music instrument. Introduce your little ones to the different food groups and boost their skills with fun play food sets. We love the Plan Toys and Melissa and Doug food sets. 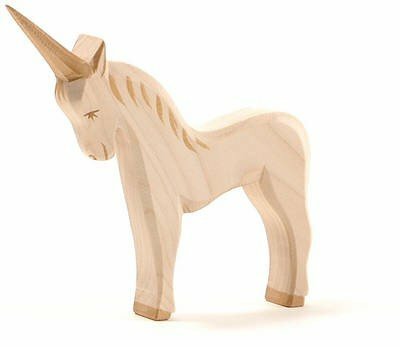 These Eco-friendly toys will get toddlers to love bath time. 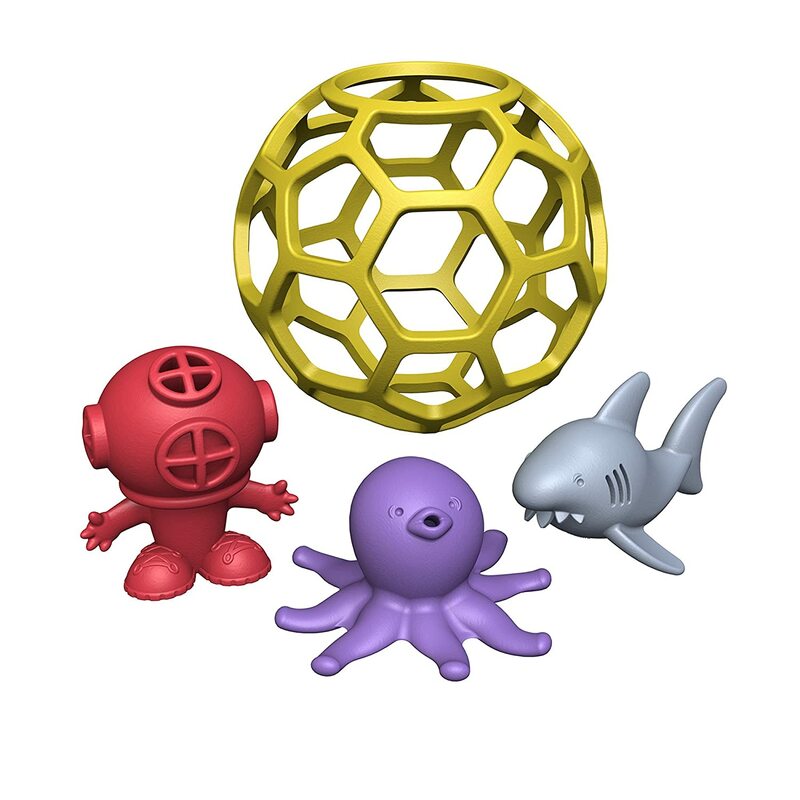 This set comes with a bath ball, diver, octopus, and shark! 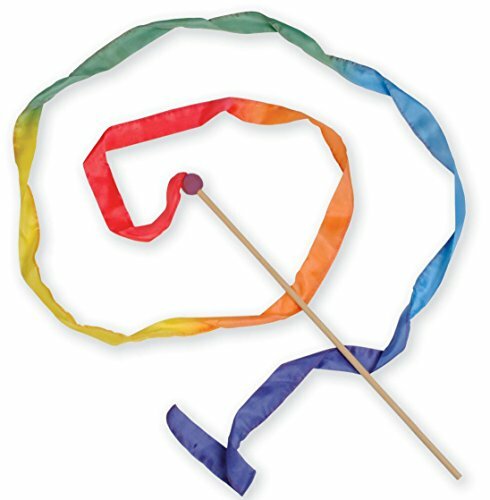 Introduce your toddlers to time, shapes, and colors with this eco-friendly toy. Leaning more towards 3 years old with this toy but children love placing the shapes in the correct spots. 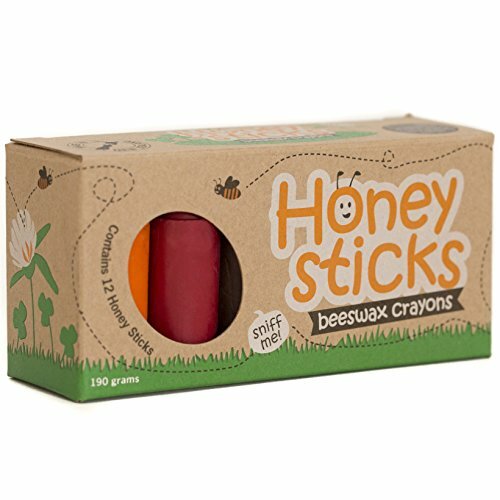 These easy to hold block crayons are perfect for children. Watch them create with these all natural, non-toxic colors. 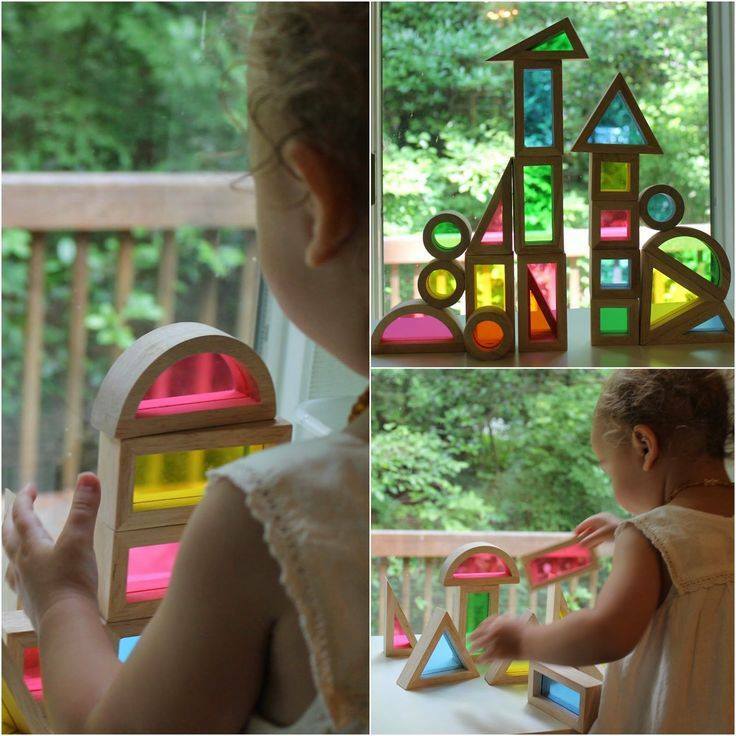 This toy is not just gorgeous, but aids in your child’s overall development. Play Kitchens are the best! 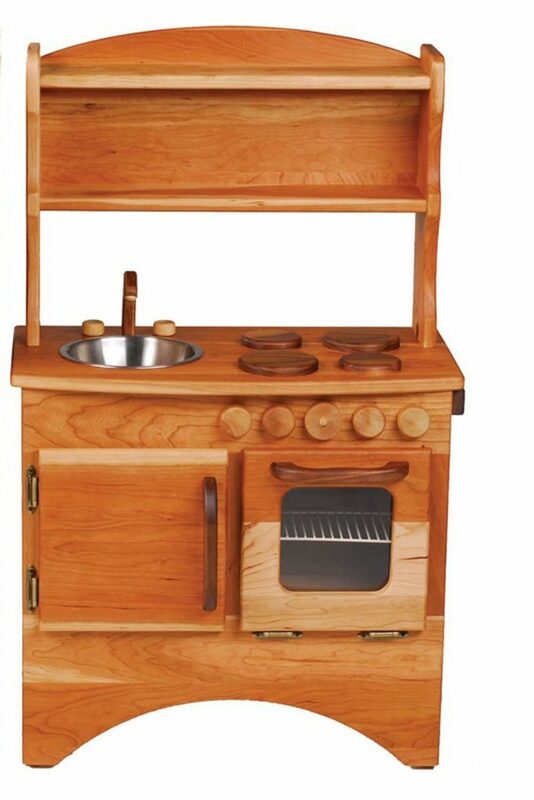 Made from solid cherry hardwood with walnut and birch accents this beautiful play kitchen will be in the family for many years. 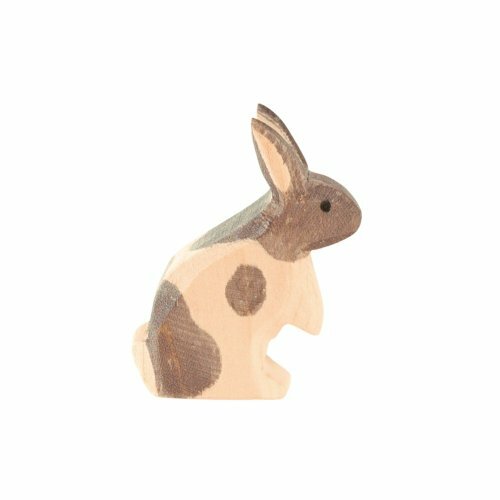 Toddlers will enjoy playing with these all natural, wooden safari animals solo or as a puzzle they can stack together. 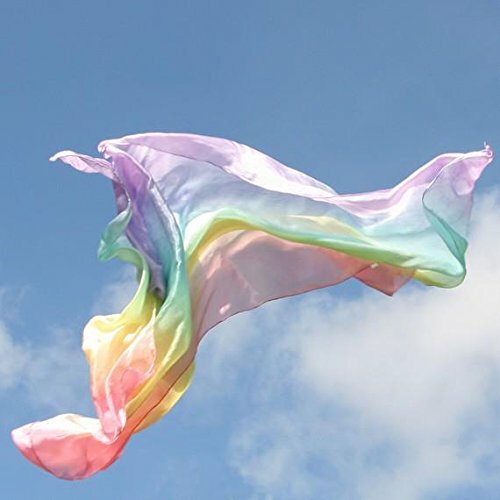 Playsilks, streamers and dress up for wonderful open-ended natural play. The intellectual development of your little ones will be strengthened with these fun, eco-friendly puzzles and games. 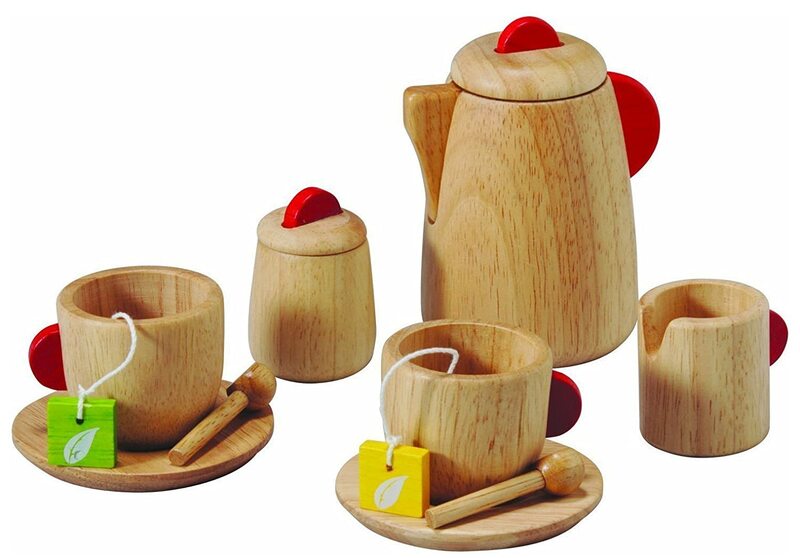 This all-natural, wooden tea set is perfect for your little ones who enjoy having tea parties! 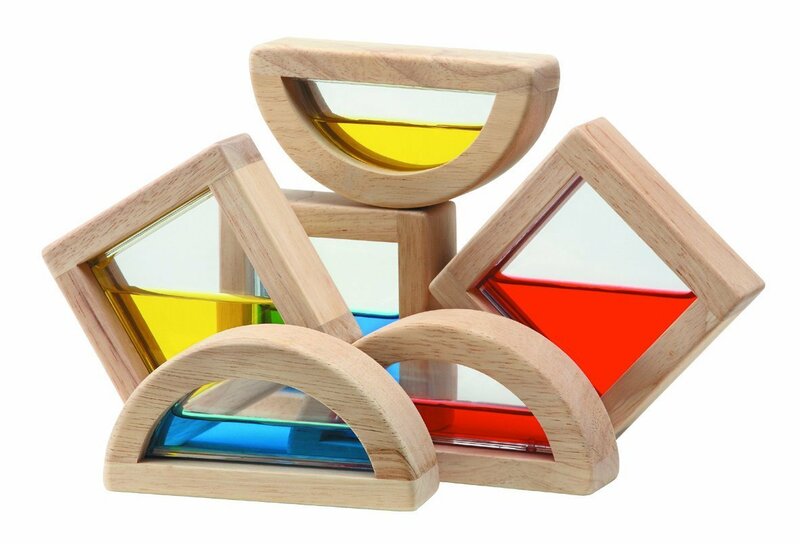 Get your 2-year olds concentrating and working early development skills with this shape sorter that introduces colors and shapes to their daily play! These all natural, wooden water blocks will be a hit with your toddlers. They’ll love being able to stack them or watch them move. Although our all-time favorite wooden stacker is made by Grimms Spiel and Holz. This adorable, eco-friendly, penguin toy is not only fun to look at but an aid to overall development for your little ones. The colors, different ways to stack and different sizes of the rings will all be a part of strengthening their development. 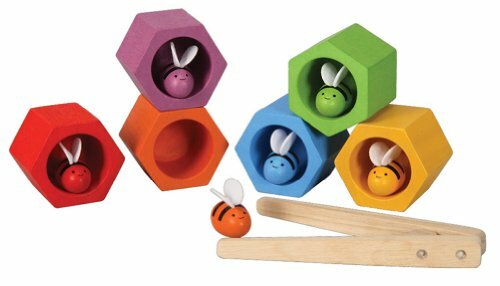 Your little ones will be intrigued by the soothing sounds of this eco-friendly toy. It will also aid in their sensory development and touch awareness. 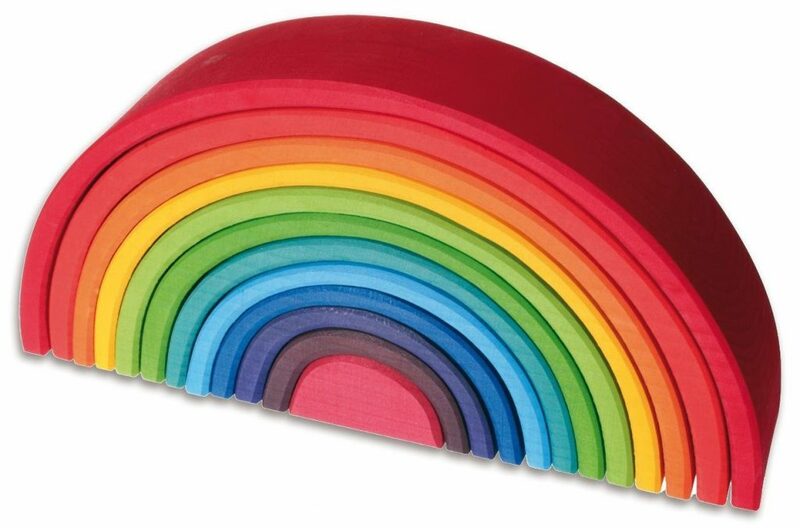 We LOVE everything about the Guidecraft rainbow blocks! They are lovely to play with when the sun is shining through the windows. 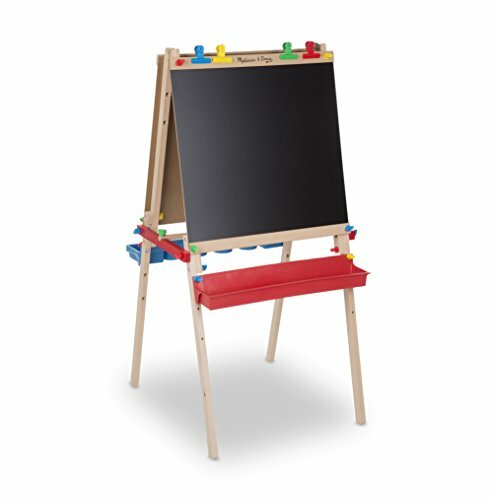 Plus, they are great for learning shapes and colors. This toy is a classic toy that children still love to play with. It is great for working fine motor skills and concentration. 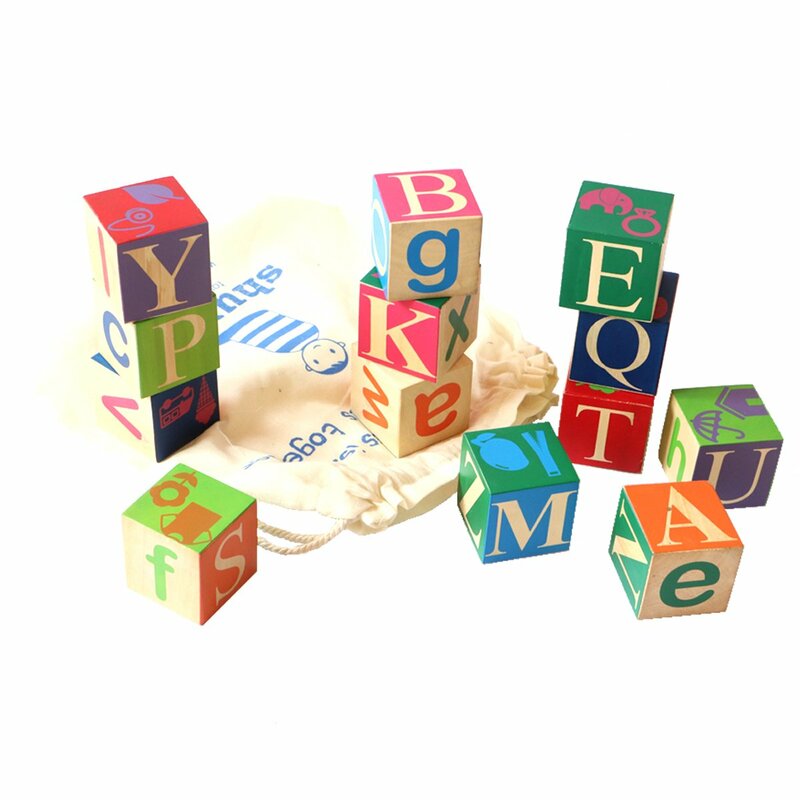 Introduce your toddlers to the alphabet with these eco-friendly stacking blocks. Toddlers love to help clean up and they love to mimic their parents. 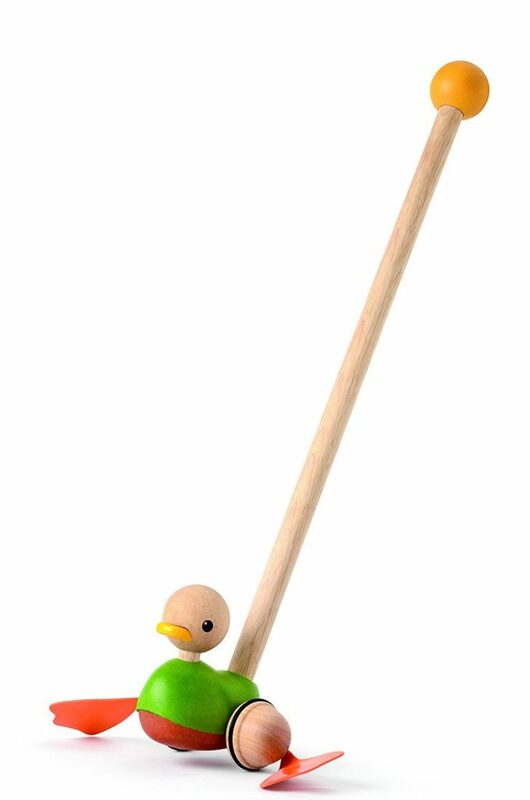 Give your child their own size cleaning tools with this cute Melissa and Doug set. Did you find a few Natural Toys that your child would love to play with? 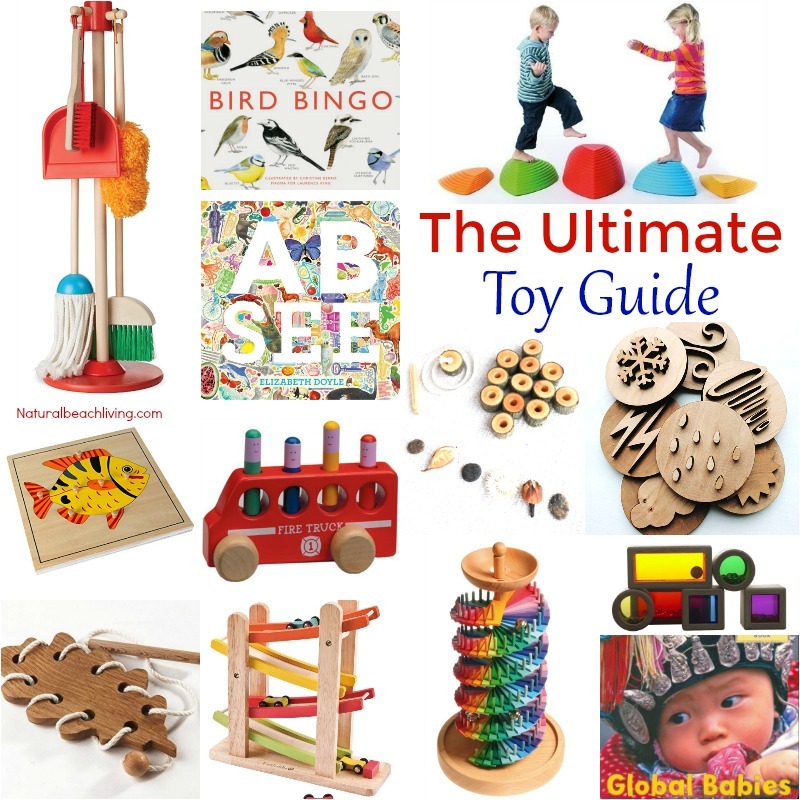 If your toddler has a favorite toy that isn’t listed, we would like to check it out. Leave a comment below letting us know what it is and why it’s awesome. Etsy is another place we love to find beautiful handmade Natural Toys. There are so many talented people and unique items on Etsy.